The open air green screen photo booth creates excitement at your event! Transport your family and friends to Las Vegas, to the pyramids, to a rock concert and so much more with a green screen photo booth. With a green screen behind the people being photographed, there are unlimited options for fun and funny scenes and endless fun in the photo booth. 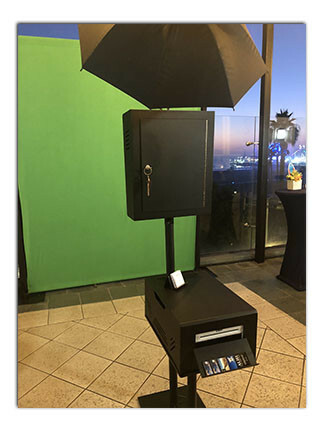 Viral Booth's green screen photo booth is a fantastic and affordable way to bring a new level of excitement to your celebration. Only creativity limits what you can do with a green screen photo booth! Or, you can customize your green screen with your own theme. Just share your theme and we'll create green screen ideas for you. Choose up to 6 scenes. Then, you can cycle your backgrounds for your guests, or let guests select their own backgrounds for their photos. 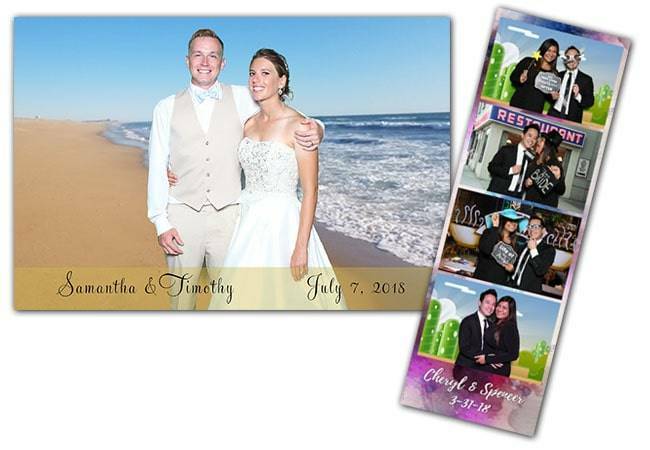 The green screen photo booth package comes with unlimited prints (not double prints), so your guests can experience your scenes over and over again and take home tons of pictures. The high resolution pictures print crystal clear in under 12 seconds thanks to our professional sub-dye photo printers. Every green photo session is also transformed into an animated GIF. The GIF is created by combining the photo images into a hilarious looping animation that guests can text and email after each photo session. At Viral Booth, we've created green screen experiences for nearly every type of event, from weddings and Bat Mitzvahs to parties and company events. To surround green screen photos, we offer dozens of photo layouts that our expert team will customize with your design, logos and text. Choose the classic 2x6 photo strip. 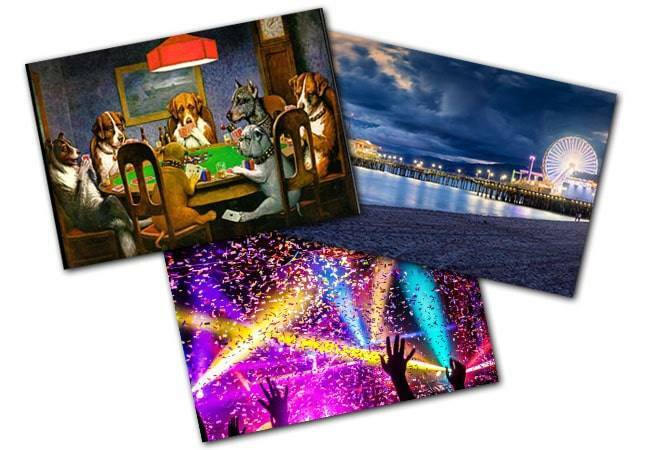 Or, go big with the 4x6 postcard and even oversized 5x7 prints.